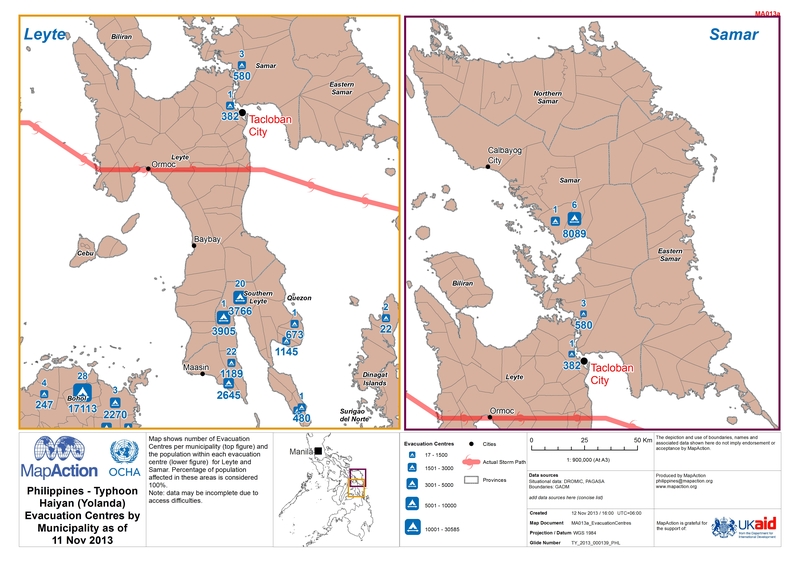 MA013a Map shows number of Evacuation Centres per municipality (top figure) and the population within each evacuation centre (lower figure) for Leyte and Samar. Percentage of population affected in these areas is considered 100%. Note: data may be incomplete due to access difficulties.